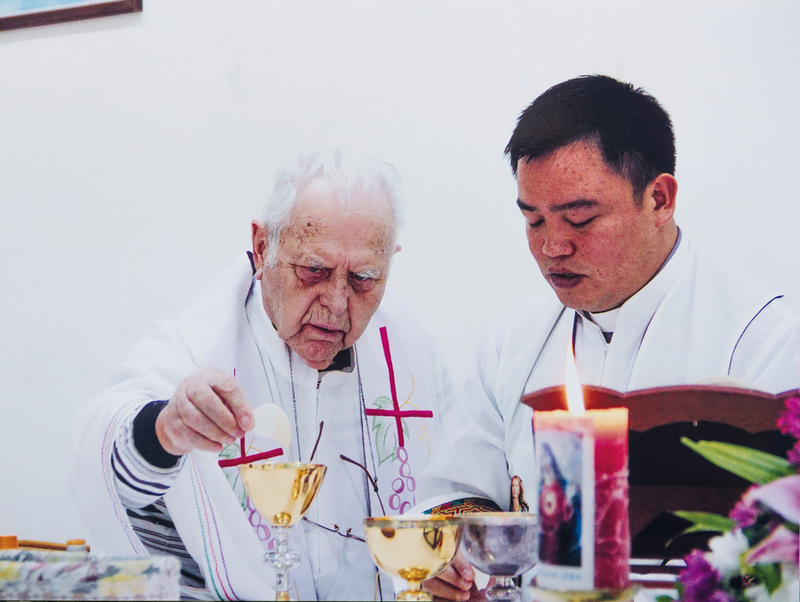 Maurice Poinsot, 85, is a priest at the Church of Our Lady of Lourdes in Hua­lien County’s Yuli Township, and is currently the oldest priest from the Paris Foreign Missions Society in Hua­lien. 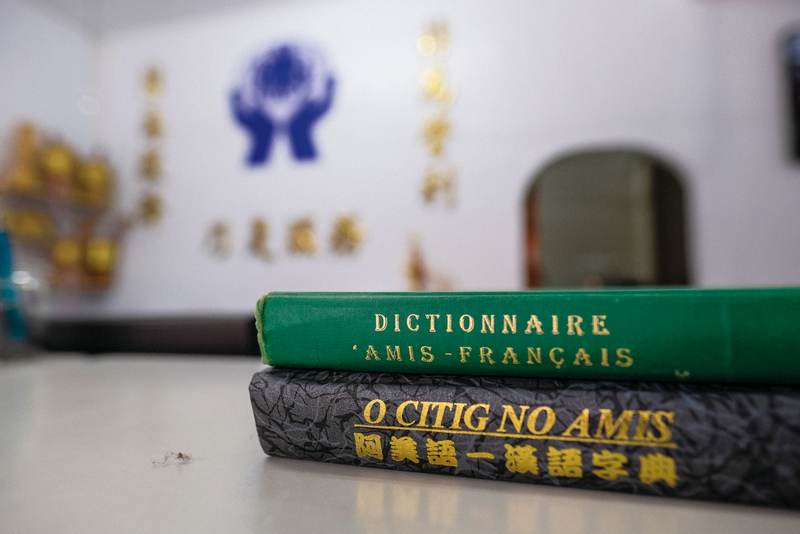 He has lived among Taiwan’s native peoples for more than five decades, writing a French‡Amis dictionary, helping locals establish savings cooperatives, and working toward progress on issues relating to education, economics and the preservation of tribal culture. Since 1660 the Paris Foreign Missions Society has been sending missionaries to Asia, where they have had to adjust to differing climates, environments and sanitary conditions as they have done the Lord’s work in countries of varying levels of national development. At times, they have lost their lives while still young, whether by contracting malaria or being killed during episodes of political repression. Although such examples might cause others to take pause, it has not dented the determination of the society’s members to perform their duties and live up to the principles of their mission: Ad exteros, ad gentes, ad vitam—“To other lands, to all nations, for a lifetime.” By accepting their missionary vocation, they committed themselves to spending their youths and lives overseas. Born in France in 1932, Poinsot entered the seminary at the Catholic University of Paris when he was 17. After eight years of hard work, he was ordained a priest at age 25. In 1959, at age 27, Poinsot was sent to serve in Hua­lien. 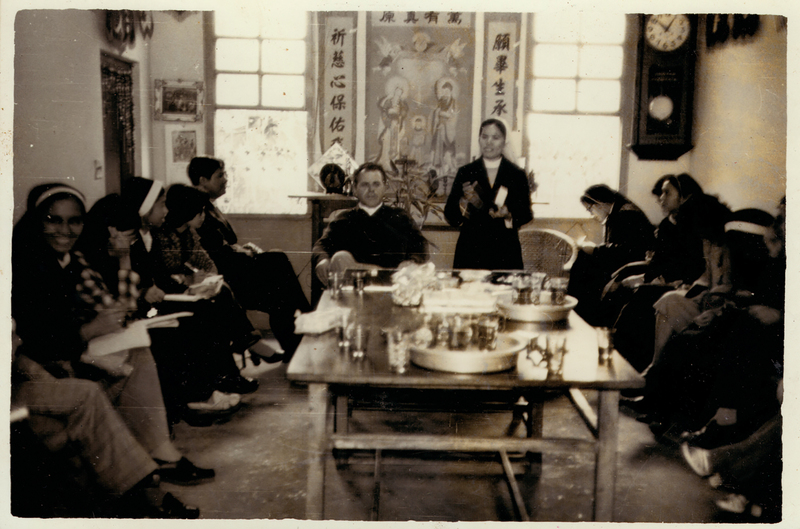 Back then, transportation was inconvenient and the young priest got around on a motorcycle as he ministered to people’s needs, driving up into the mountains and down to the coast in the area between Gao­liao in Yuli Township and Feng­nan in Fuli Township. ­Dongli, Lehe, Afih… Poinsot went deep into Aboriginal areas. Even typhoons’ heavy rains wouldn’t scare him off. The local indigenous people’s poverty made an immediate impression on Poinsot, but he discovered that they were skilled at planting lemon grass. That inspired him to acquire equipment with which they could extract citronella juice and raise the value of their agricultural production. Most of their farmland was reserved Aboriginal land and was worth very little, which meant they typically had no collateral to speak of. As subsistence farmers, the residents were subject to the whims of the weather merely to eat, and needed badly to take out loans to buy farm equipment or pay for their children’s education. But banks would usually refuse them. To improve residents’ financial situations and introduce them to the idea of saving, Poinsot studied the models used by savings cooperatives overseas. He discovered that the spirit animating savings cooperatives—“neither profit nor charity, but simply service”—was distinct from the for-profit orientation of banks. To get a mortgage or loan from a bank, collateral is important. It is a materialistic, prop­erty-based relationship. Savings cooperatives, on the other hand, emphasize trust, pooling members’ money to provide those in need with low-interest loans. Consequently, Poinsot paid for locals to go to Hong Kong and learn how these cooperatives were set up. 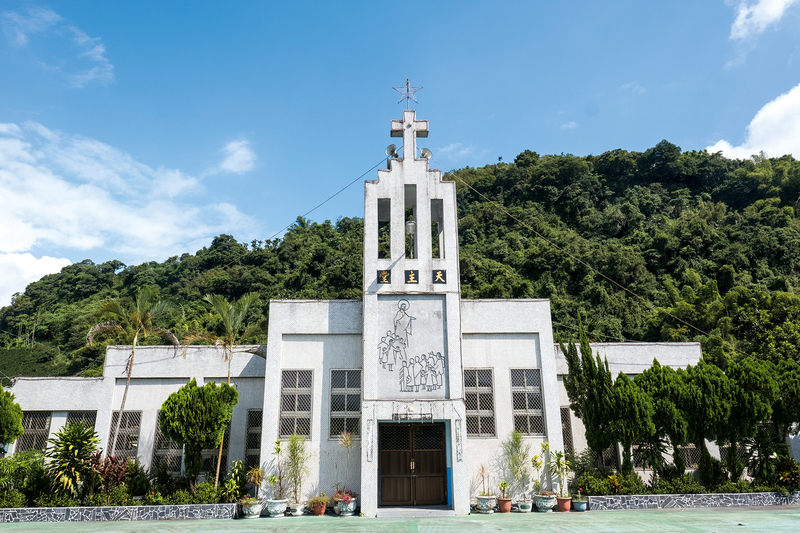 After several years of planning, they finally established Hua­lien’s first credit cooperative in 1967, in the Amis indigenous village of Afih (Chinese name Tie­fen) in Yuli’s Dong­feng Ward, where the Church of Our Lady of Lourdes is located. “At first, we didn’t have much,” recalls coop staffer Wang Ju­lan. “People were saving just a few NT dollars. Whenever Fr. Poinsot went to lead prayers in the homes of church members in the local tribal villages, he would extol the importance of saving.” Poinsot’s principle: First help yourself, then help others. He was constantly encouraging people to save, noting that small contributions can combine into large amounts and encouraging residents to develop a habit of saving. Poinsot has a down-to-earth personality that is well matched to the Aborigines’ optimistic outlook. He is straight and to the point, and loves a joke. Knowing that locals are mostly surnamed Pan and wanting to fit in, he chose the Chinese name Pan Shi­guang. When he first came to Afih, Poinsot couldn’t speak a word of Amis, but the locals became his teachers, and he gradually mastered the language after years of chatting and gesticulating. 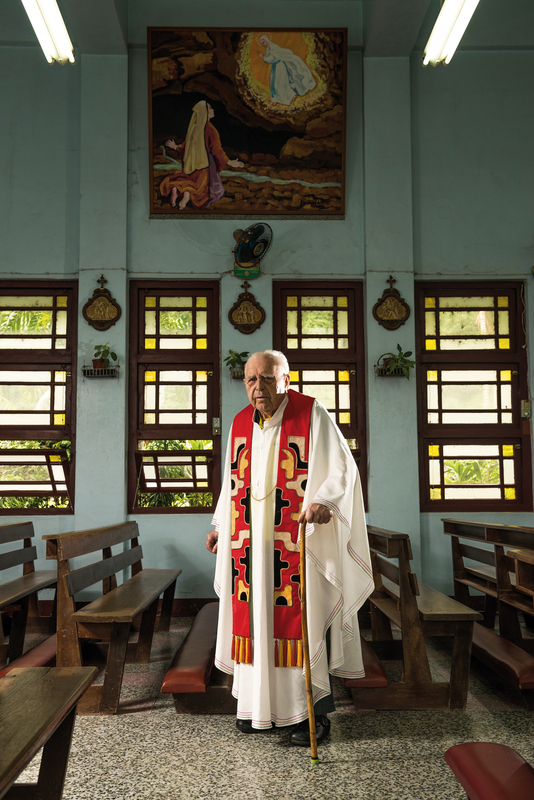 Whether in church giving mass, or in homes for prayer visits, or even just in every­day conversations, Poinsot is constantly speaking in Amis, and he now possesses a native-like fluency. “Fr. Poinsot emphasizes the mother tongue. He communicates with us in our own language. He even tests us,” says a smiling Wang, who has long been at Poinsot’s side. Many of the locals have thus honed their Amis linguistic skills. Even Fr. Lin Xin­liang, who comes from a neighboring village and is taking over Poinsot’s duties, only perfected his Amis when he started working under Poinsot. “They don’t know how to speak in their own tongue. I want to give them back their language.” Such was Poinsot’s original motivation for compiling the dictionary. He had started by writing down word after word and phrase after phrase in Amis. He continued with 40 years of fieldwork, making records of the variations in vocabulary between different communities. Poinsot would interview tribal elders and take notes, revising and confirming his entries. Then he got fellow Frenchman Fr. Louis Pourrias to co-write the Amis‡French dictionary with him. The massive undertaking was finally completed in 1996. Based on Poinsot’s dictionary, several Chinese‡Amis dictionaries were later released, which became important tools for research into the Amis language. Even Amis themselves can’t necessarily understand all the Amis entries. It is remarkable that a foreigner was willing to devote decades of his youth to create this precious cultural resource for posterity. For the work, Poinsot received an award from the Ministry of Education for his outstanding contribution to promoting native languages. Early on, Poinsot, who places great stress on education, founded a nursery school to improve children’s educational opportunities. With smaller families and the out­migra­tion of young people, the population of these tribal areas has grown older and older. Under the circumstances, Poinsot came up with the idea of establishing “culture and health stations.” He hoped to create a place where seniors could come to get out of their homes and interact with each other, instead of staying cooped up and gradually going downhill. In 2005, the first of these culture and health stations opened in Afih. It employs professional caregivers and arranges various enriching activities for the seniors. For instance, they sing Amis songs and weave distinctive tribal bags and decorative items. The hope is that tribal elders, rather than passively accepting care, will be encouraged to make the most of their own strengths and convey the wisdom of the tribe to younger generations. 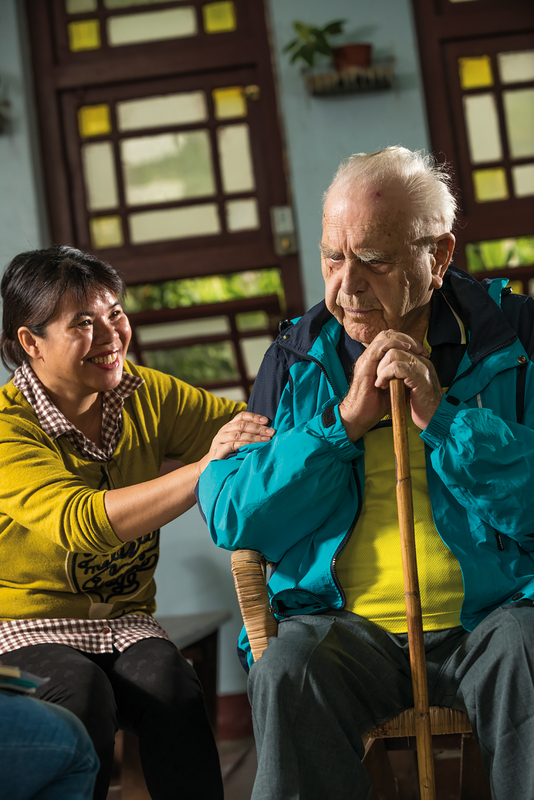 With Poinsot’s support, similar stations that provide loving care to seniors were also established in places such as Lehe and Wan­ning. In recent years, Poinsot, 85, has been suffering from heart problems, and can’t easily travel long distances. He can no longer simply get on a motorbike and go. Three years ago, he began handing off his responsibilities to Lin Xin­liang. 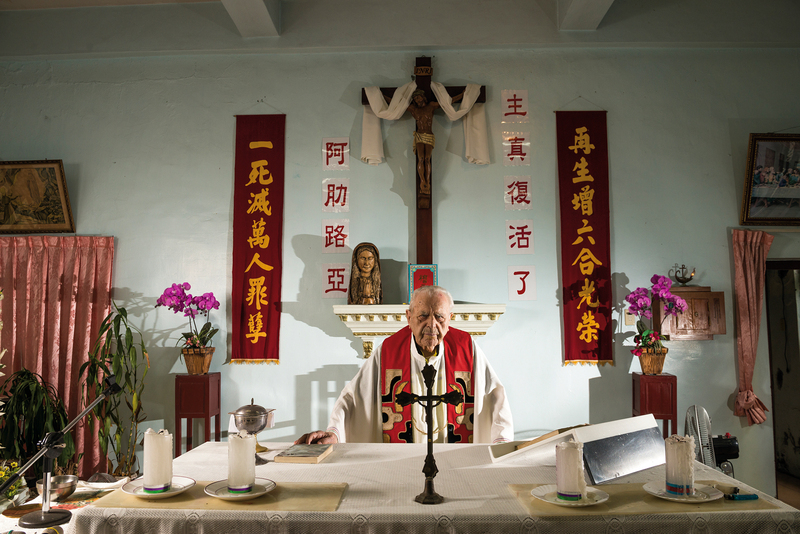 Today, although Lin now conducts the mass, Poinsot still attends each morning, wearing his neat church vestments and sitting in the pews. 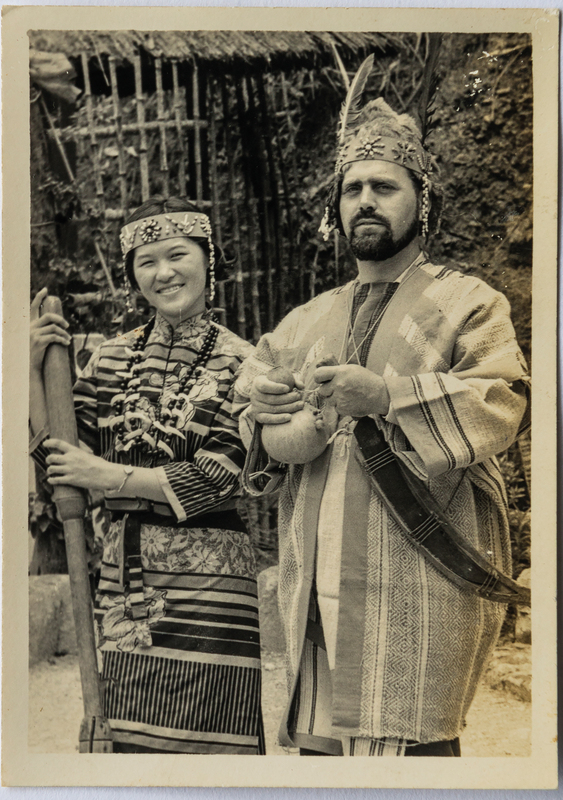 In some old photos of Poinsot and the villagers, he appears in tribal clothes and headdress. One can almost hear his hearty laugh. Speaking Amis and demonstrating constant concern for the Amis people, he has fully integrated with his locale and given his life to Taiwan. He has long since stopped being a foreigner and has become a native son.